REFLEX® PHOTOPOLYMER IMAGE TRANSFER FILM is a pre-sensitized, red-colored, multi-layer film coated on a clear 50 micron polyester base. 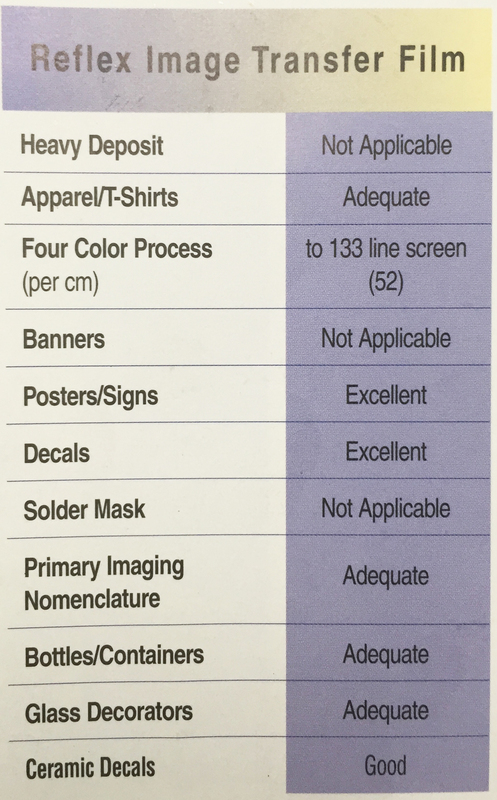 REFLEX® is a presensitized, diazo-free, ultra high clarity polyester base. 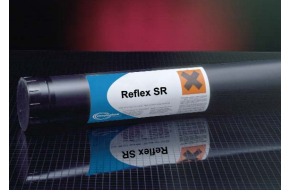 Reflex is a photopolymer, non-gelatin formulation.